Place ingredients in pitcher. Cover and blend at STIR for about 15 seconds. Scrape the sides of pitcher if necessary. Next, blend at LIQUEFY for 10 to 15 seconds, or until smooth. Serve over tossed green salads or fruit salads. Store in refrigerator. Makes 12 servings (2 tablespoons per serving). 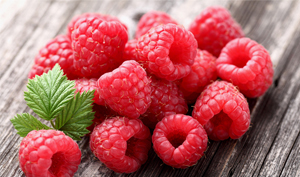 Place 1 cup fresh or frozen raspberries (thawed), 2 tablespoons sugar, 3 tablespoons vinegar, and 2 tablespoons vegetable oil in pitcher. Continue with directions above. Makes 6 servings (2 tablespoons per serving).